Nurses who took part in the Widening Access Training (WAT) scheme could be eligible for a sizeable tax rebate. More than 16,000 NHS staff who took part in an NHS training scheme have applied for tax rebates worth thousands of pounds, but some are struggling to get their money back, an investigation has revealed. As highlighted by Nursing Standard earlier this year, tens of thousands of employees, including nurses, who completed Widening Access Training (WAT) schemes, could be eligible for substantial tax and national insurance rebates, by applying to HMRC through their NHS trust. The NHS staff took part in the WAT schemes through a training allowance or scholarship but were taxed as if they had undertaken paid work. Since 1999, the NHS in England has been running the WAT scheme, aimed at broadening the professional knowledge of nurses and other health service staff. 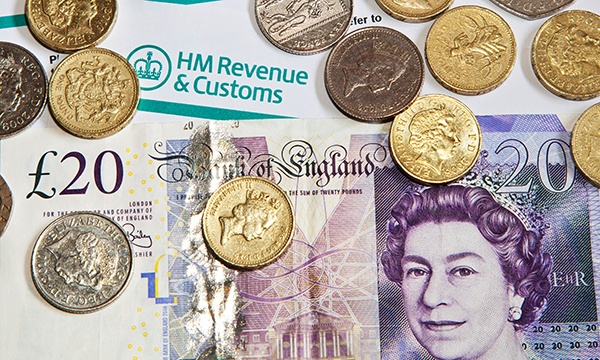 A written parliamentary answer from HMRC to MPs, who have been helping their constituents reclaim, showed that HMRC has received 16,762 applications, with 8,209 getting their cash back. HMRC has received 11,218 claims for 2016-17 alone. However, consumer finance information website MoneySavingExpert.com said NHS staff have been contacting them about the lack of clarity over who should be handling their refunds. One group of health visitors described the rebate process as ‘long, laborious and inconsistent’, with limited communication and no explanation for vast differences in amounts paid back. Successful claimants told the website they typically get more than £1,000 back, and one reclaimed £13,500. MoneySavingExpert.com managing editor Guy Anker said: ‘It’s an utter shambles between HMRC and the NHS Trusts. 'There is confusion about the rules and variances in what claimants get, and despite it being money they never should have paid in the first place, employees are essentially being put off from getting their money back. Were claimants in full-time training? Do they have a letter confirming they were in full-time training? Have they copies of any certificates they received for completing their training? Have they checked with their NHS payroll department to make sure that the payments they received were payments for training only?